It’s been more than a year since Documentum joined the OpenText product portfolio. 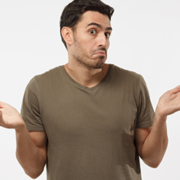 So what’s new with Documentum, and where is it going? Learn more in several sessions dedicated to Documentum during Enterprise World 2018, from new features and enhancements in version 16.4 to ways you can integrate Documentum with other OpenText products, and more. A year ago, OpenText acquired Documentum, Captiva, and more from Dell EMC. What’s happened in the past year and what does the future hold? Attend this session to learn about the progress that’s been made since the acquisition, including a review of the most recent Documentum release. Plus, we’ll explore the innovation pipeline for Documentum and hear about future opportunities to leverage your existing Documentum investment with interesting OpenText technologies. One of the benefits of the OpenText acquisition of Documentum has been the ability to combine OpenText and Documentum technologies to advance the capabilities of your implementation. Join us as we demonstrate and share best practices for leveraging the wide range of technologies within the OpenText portfolio, including analytics, archiving, application development, image viewing and markup, discovery and file intelligence, output transformation, and process management. 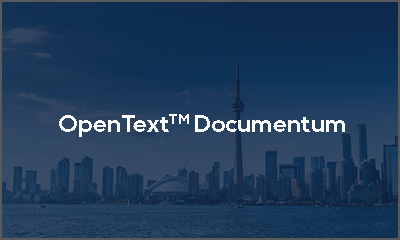 OpenText recently released its first major update to Documentum. Attend this session to learn about the most compelling enhancements, as well as the new functionality that accompanies this release. During this session, we will explore, in depth, how to take advantage of the latest enhancements, improve the user experience with new Microsoft Office 365 integration, take advantage of new viewing capabilities, and extend access to important content beyond your organization’s firewalls. Join us as we explore the new features and functionality added to Documentum xCP in the most recent release. In addition, we will look at how you can combine the OpenText Core cloud platform with an on-premise Documentum xCP implementation to enhance efficiency, velocity, and reach of business processes across–and beyond–your organization. OpenText Documentum D2 is the advanced, intuitive, and configurable content-centric client for Documentum that accelerates adoption of OpenText applications. Attend this session to learn about the most exciting new features and configuration options to optimize your implementation. We will also introduce D2 Mobile, which addresses the increasing requirement for mobile access to both D2 and Documentum and share our vision for adding new Smart View-based D2 user interfaces in the future. Join us for to hear from Documentum customers discussing their digital transformation and the role that ECM and Documentum played in this journey. We will cover a wide range of topics, including drivers for change (customers, competition, workforce, and regulatory); approaches to these transformational initiatives; how leveraging critical business information has unlocked new value; and how the relationship between IT and the business continues to evolve. Attend this session to learn how to get the most out of your Documentum D2 implementation. You’ll see how organizations are building D2 implementations that address critical business challenges, make information readily available in the right context, and maximize user productivity. You’ll hear from experts on how to take advantage of the most important D2 configuration features to speed your deployment, minimize ongoing maintenance, and optimize your D2 implementation. For more than 15 years, Flatirons Digital Innovations has helped clients deploy the latest Documentum D2 technologies, bringing an unmatched understanding of the platform and its capabilities to successful implementations. 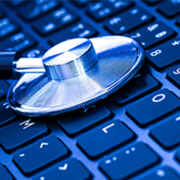 Learn more about how we can help you deploy, upgrade, or fine-tune your Documentum implementation.